Composed by Various. Piano/Vocal/Guitar Songbook. Wedding. Softcover with CD. 288 pages. Music Sales #AM999328. Published by Music Sales (HL.14037459). Planning your wedding is an enjoyable but challenging task. Just as important as the practical elements is choosing the music and readings that will be at the emotional heart of your big day. This comprehensive guide to selecting and performing music and choosing readings will help to make your wedding extra special. 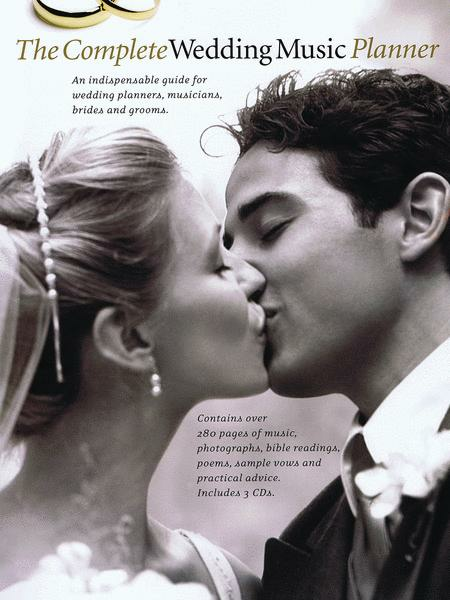 With sheet music for over 40 pieces of suitable music spanning classical, pop and jazz, this book is a great resource for the bride, groom, musicians and readers. It contains over 289 pages of music, photographs, poems, sample vows and practical advice. Includes three CDs that contain backing and demo tracks.